Mynaa fame Prabu Solomon Kumki, an upcoming movie with Vikram Prabhu in his feature film debu, is ready for audio launch. There were lots of expectation for this movie since,his previous movie Mynaa bagged a huge response. With this expectation apart, Initially it was said that Rajnikanth wand Kamal will be launching the audio function. But recent news is that, Since Rajinikanth is busy with the Kochadaiyaan post production works, it was Surya who replaced Rajnikanth for Kumki Audio Launch. 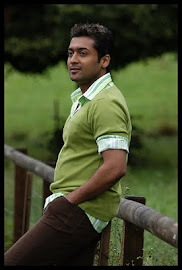 “KamalHaasan will be releasing the music CD of Kumki and Suriya will be receiving it on 26th” says close sources. D.Imman Music has composed the music for the film, uniting with Prabhu Solomon for third time. Imaan took nearly eight months to compose songs for Kumki.